Welcome back to “The Kid Stays in the Kitchen.” Each week throughout the semester, a student is assigned to cook a traditional dish with a friend or family member and document the experience in photos and words. Our school was named the most diverse school in New York City and this seemed like a great way to show for it. 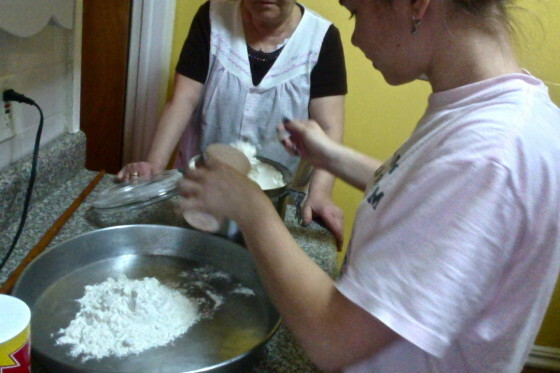 This week features Maggie who comes from Albania and she has chosen to make burek with her grandmother. “The dish I made is one of my favorites from Albania. 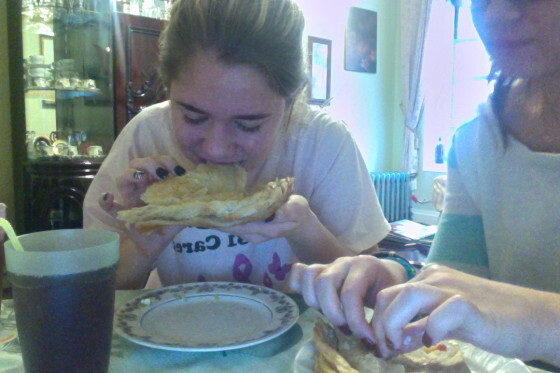 It’s called burek. Burek is a delicious pastry that is popular in many countries such as Albania, Turkey, Bosnia and Serbia. This is a dish that my grandparents, my parents and I have eaten growing up. 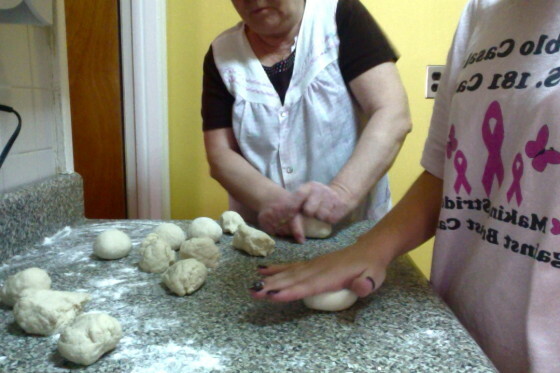 I remember watching my grandma roll out the dough when I was little and thinking it was fun. Sometimes, she even let me try rolling it out myself. 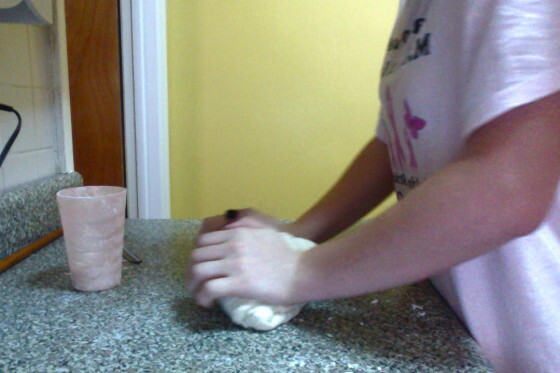 It actually was fun, having the flour on my little hands felt so soft and the rolling pin looked so big. Who’s to say food can’t be fun? First, cut the leek leaving only the white bottom. Chop each bottom into small pieces and put them into a pot. 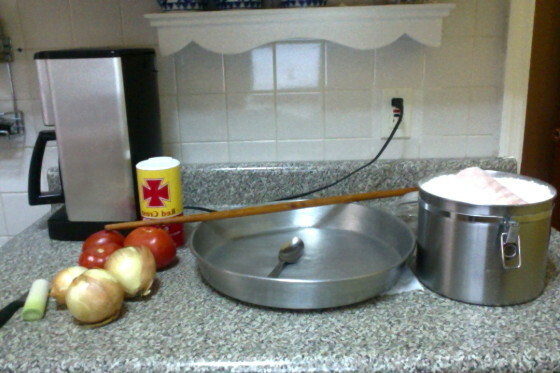 Then pour the oil and salt into the pot. Stir them together and cook on a medium flame until soft. Turn off the fire and add the cottage cheese. Mix it all together and let it cool. 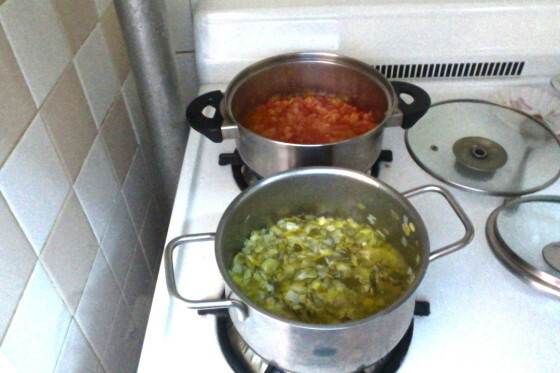 First, chop up all of the onions and tomatoes into small piece and put them into a pot. Then add the oil and salt. Stir them together and cook on a medium flame until soft. Let it cool. First, pour three cups of flour in a baking pan. 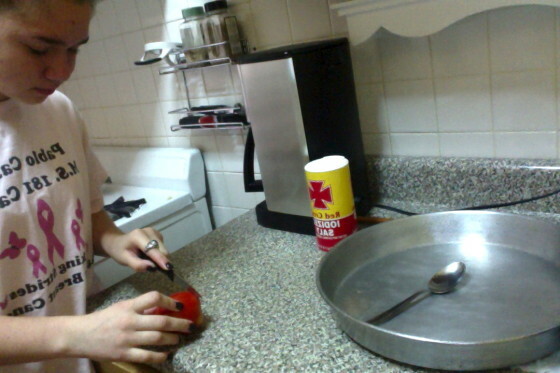 Then, use your hand to make a hole in the middle to pour the water and the salt. 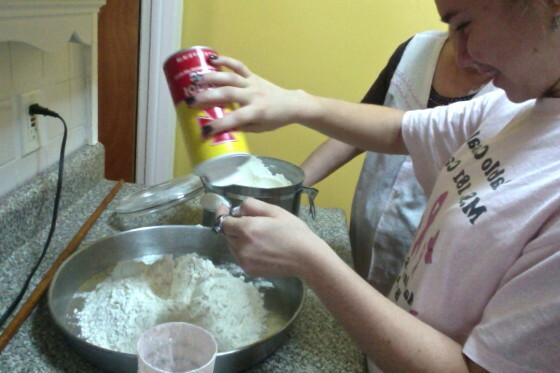 Knead the ingredients to form a dough. 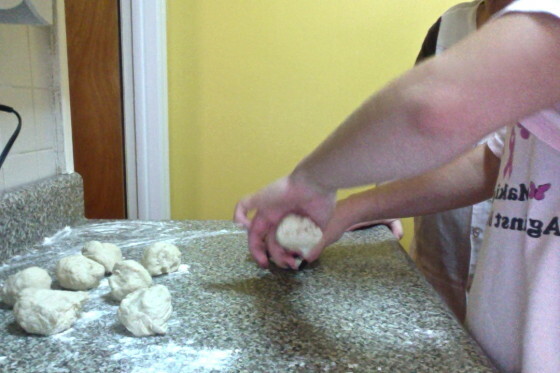 After kneading the dough, cut 12 equal sized balls of dough. Then let them rise for 15 minutes. 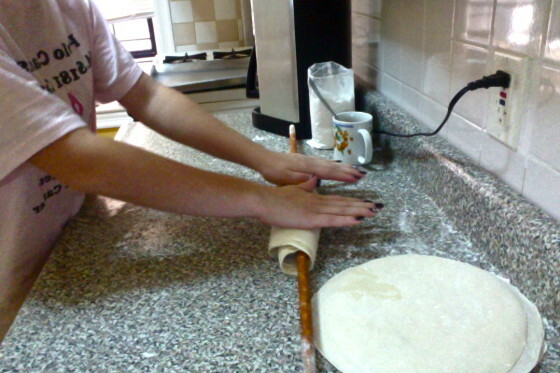 Next, using a rolling pin, flatten out each ball of dough into equal circles of about 7 inches in diameter. 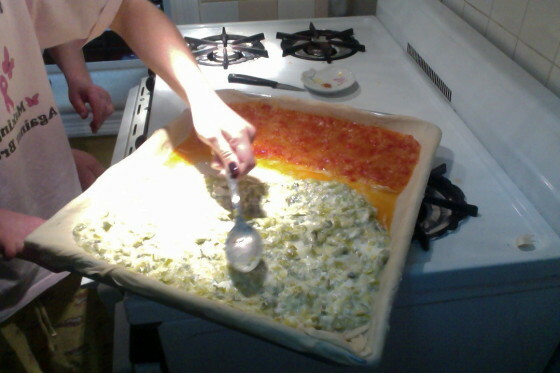 As you finish flattening out each dough, place them on top of each other into piles of 6. Be sure to spread oil between each circle. Once you finish this, take one of the piles of 6 and roll them together into one big circle. Roll each pile to be the size of your tin. 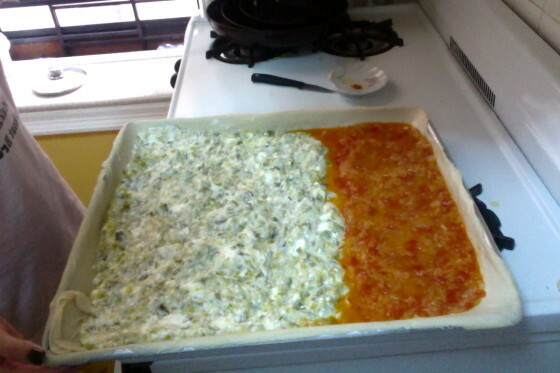 One will be the bottom layer of the Burek and the other will be the top layer. 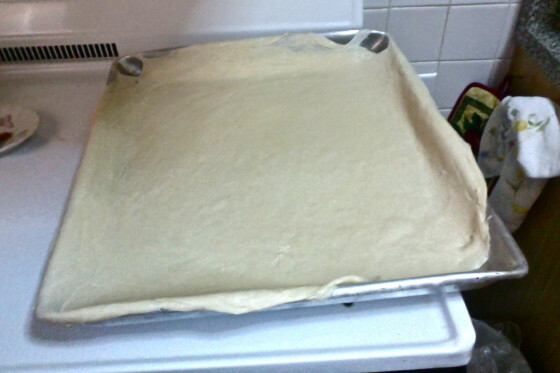 After rolling out the bottom layer, rub your baking pan with oil to ensure the dough will not stick to it. Then, place your bottom layer inside your pan with the edges hanging out. Spread your desired filling over the dough. 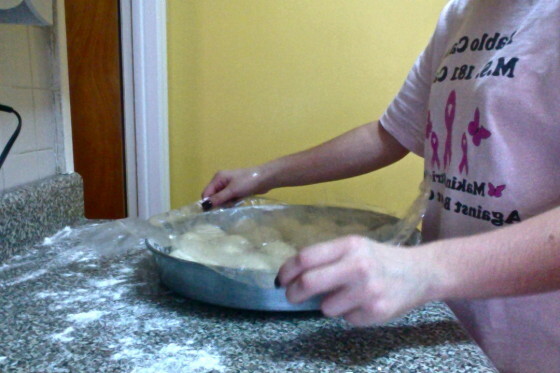 After that, put your top layer of dough. 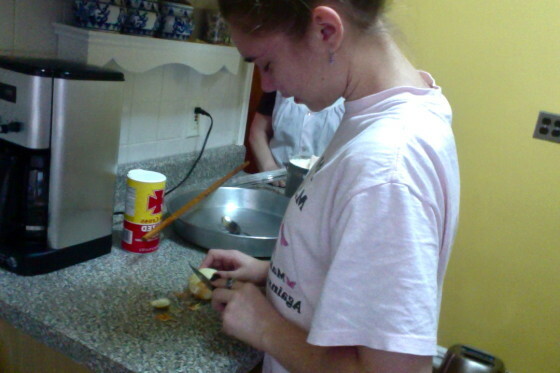 Pinch the edges of both layers to ensure the filling will not come out. Spread some more oil on the top of the Burek and place it in the oven at 400 degrees for 30 minutes. 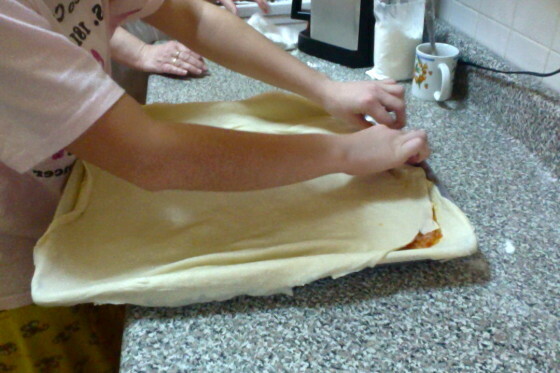 When both layers are finished baking, spread water on the top and bottom of the Burek. Wrap the pan with aluminum foil and let it sit for 30 minutes. 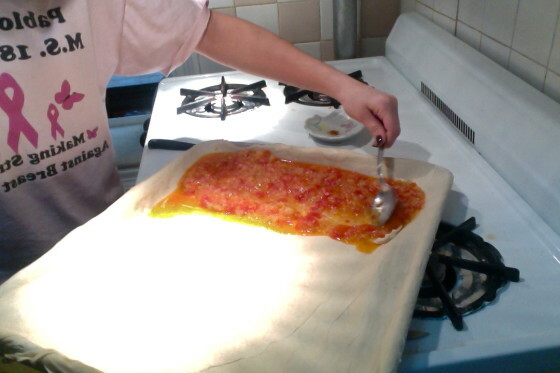 Finally, the Burek should be ready to eat. Cut into slices and enjoy!